One of a kind! 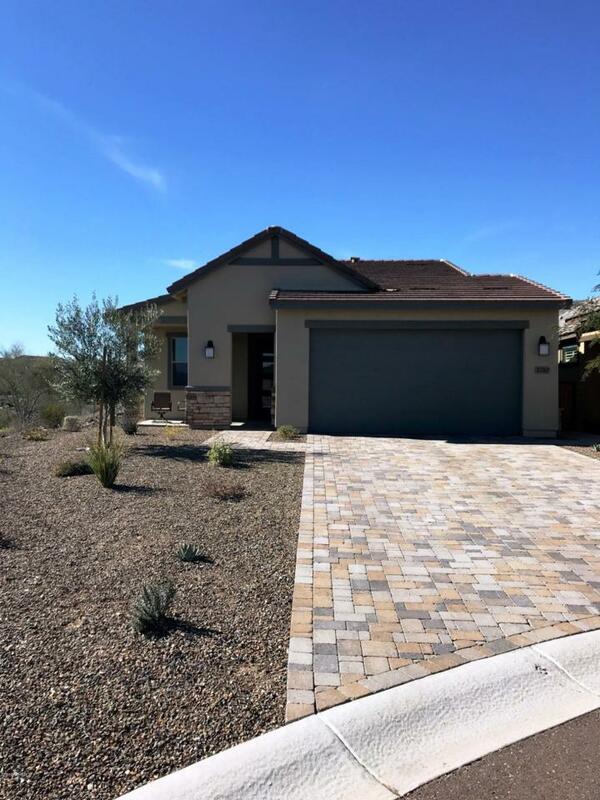 Palomino home on premium lot at end of cul de sac in Wickenburg Ranch gated community. Landscaping maintained in this lock-&-leave subdivision. Rolling wall of windows. Granite island kitchen w/ eating bar opens to great room. Spacious master bedroom & master bath w/ upgraded glass walled marble shower w/ bench, double sinks & walk-in closet. Inside laundry room w/ cabinets. Den could be easily converted to 2nd bedroom. 2nd bath w/ tub/shower combo. Concrete seating/patio areas front & rear, pavers on side. Extended garage (20x24) w/ cabinets & epoxy floor. Enjoy all the amenities fabulous Wickenburg Ranch offers: restaurants, 2 golf courses, clubhouse, fitness center, spa, swimming pool, sports courts, dog park, miles of walking trails, free golf at Li'l Wick, more!